Komushi (コムシ, Komushi) was a young shinobi from Sunagakure. Komushi grew up during the tenure of the Third Kazekage, where he primarily worked as a messenger for Chiyo to her grandson Sasori, with whom he had a friendly relationship. During a border-patrol mission Komushi was wounded and subsequently lost an arm. This was later replaced by Sasori with that of a puppet. Later he ingested some of Sasori's poison by mistake and died while Chiyo tried to save him. Because he knew Sasori would be blamed, Komushi's last request was that Sasori would not be blamed for his own careless mistake. 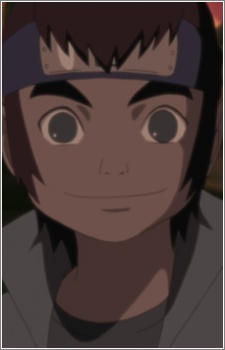 Due to his mother's pleading to bring Komushi back to her, Sasori later turned him into a human puppet.